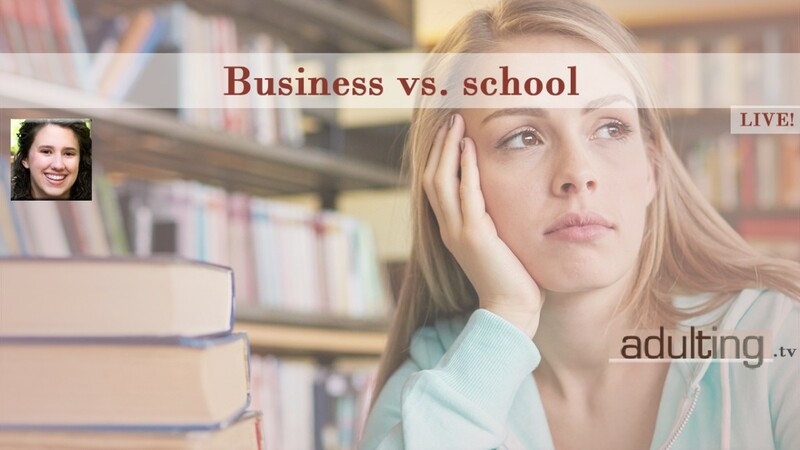 How do you balance earning a degree with starting your own business when both require massive time and effort? Adulting.tv LIVE! welcomes special guest Eva Baker from Teens Got Cents and The Teenpreneur Conference. Eva and Miranda discuss Eva’s decision to scale back on school to ramp up her business. How do you balance the time you need to spend on education and earning a degree with the desire to build your own business?